A FEW years ago - and a hundred years after his death - tardy recognition was made of the genius of a great engineering pioneer, Richard Trevithick, by the unveiling of a statue of him at Camborne, Cornwall. In one hand of the figurer is a model of what was really the first locomotive to be built, that is, the first steam engine which could haul a load along a built track. Before Trevithick such tentative machines as had been made were only steam-driven carriages for travel on roads. Trevithick was born on April 13,1771, at Carn Brea, not far from Camborne, his father being manager of the Dolcoath Mine and other mines. He was the only boy of a family of five, and when he reached his schooldays he seems to have been anything but a model scholar. The letters of his manhood show that he had not mastered spelling, but he was good at arithmetic and so quick and observant in practical matters that he rapidly picked up mining methods. At the age of twenty-one his reputation for practical engineering was such that mineowners trusted him to report on the comparative merits of the different kinds of pumping engines in Cornwall. At that time the efficient Boulton and Watt engine had a number of imitators, but the patent protecting it could not be upset. 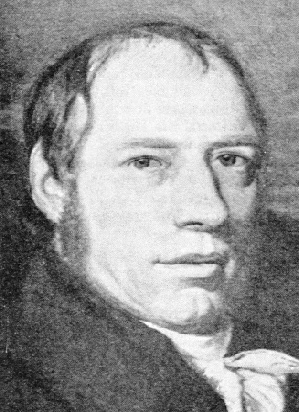 In 1795 the activities of Trevithick and of another engineer named Bull were checked by an injunction for infringement. This, however, merely turned Trevithick’s inventiveness into another channel and the next year or two saw his invention of a water-pressure pumping engine and the building of his first steam carriage. The steam carriage appeared in 1801. The Boulton and Watt patent had now expired and Trevithick was free to develop his ideas. In 1802 he patented steam engines for stationary and for locomotive use, which had pressures as high as 145 lb, as against the normal Watt pressure of about 5 lb per square inch. This increase was a marked advance in steam engineering. It was, indeed, before its time, as later engineers reverted to lower pressures, primarily for the reason that boiler making was for long carried on in a primitive way. One of the difficulties in the way of making sound boilers was that of obtaining suitable plates. Another was that the correct principles of design were barely understood. Trevithick used cast iron at first but later developed a simple and safe type made of plates. This, under the name of the Cornish boiler, is still manufactured. The most decisive step was taken in 1804, when the first real locomotive was built. This was made for a colliery tramroad at Penydarran, near Merthyr Tydfil, South Wales. On one of its first trials it went at a speed of five miles an hour, hauling 10 tons of iron and seventy men in five wagons, a feat, far in excess of what could be done with the horse haulage it displaced. This engine was ultimately discarded, as the cast-iron rails on which the train ran had not been built for such a heavy load and kept breaking. Trevithick made a second locomotive for a Newcastle Colliery, and it was a poor copy of this that started the famous George Stephenson on his successful career of locomotive building. Trevithick’s final locomotive was exhibited on a circular track in London, but it attracted little attention. The inventor then devoted his time to improving the stationary steam engine. The date of the London locomotive was 1808, and from then till 1810 Trevithick remained in that city, full of energy and ready to turn his hand to anything in the way of engineering. He fitted his engines to dredgers on the River Thames and was concerned with an attempt to drive a tunnel under the river between Rotherhithe and Limehouse (see The First Thames Tunnel). In this again he was before his day. The list of patents he took out while in London is striking. They covered machinery for towing ships and discharging cargo, iron tanks for cargo storage - a sound scheme, as the leaky wooden hulls of the time often ruined a cargo - iron floating docks, iron masts, iron ships and iron buoys. To a more worldly-minded man than Trevithick fortune would have now come, but he seems to have been habitually indifferent in monetary affairs, and imprisonment for debt and a serious illness followed. Having returned to Cornwall, Trevithick remained there until 1816, still actively inventive and energetic. Notable inventions of this period were steam-driven agricultural machines and a screw propeller. Then, having superintended the building of high-pressure winding engines and pumping engines for a Peruvian mine, he set out with them - and with high hopes - for Lima. Eleven years of frustration and wandering followed, civil war having brought mining to an end. intention though not in performance. Trevithick’s last days were again clouded by poverty. He died at Dartford (Kent) in the year 1833 and lies there in some lonely unknown grave. You can read more on “The First Thames Tunnel”, “Origin of the Locomotive” and the “Story of the Boiler” on this website.